Trascrivo più sotto un articolo del solito EUobserver.com. Il contenuto è a dir poco allarmante! In sostanza, la "solidarietà" degl stati europei per i disgraziati in fuga dalla fame e dalla guerra si riduce spesso alle sole parole! Come sistema di stati, l'UE ha fallito completamente il tentativo di un piano di ospitalità in cui ciascuno stato-membrio faccia la sua doverosa parte. Una volta ancora, se mai ce ne fosse bisogno, si constata quanto urgente è avere "più Europa" e meno "sovranità nazionale". Ma spirano venti contrari a questa idea elementare! Stupidi, idioti nazionalismi ed il montare dei movimenti populisti. Questi speculano sui disagi e sulle difficoltà di integrazione dei non-europei, specie dei musulmani. Una volta mi sarei aspettato che, se mai fossi arrivato all'età che ho, avrei fatto in tempo a vivere un po' negli "Stati Uniti d'Europa", in una grande civiltà capace di riscattare l'Europa dai tragici, enormi errori del passato (come la bellicosità che ha prodotto il macello delle guerre intestine, teribili come non mai, del primo 900 e come lo spietato imnperialismo coloniale ereditato specialmente dal XIX secolo). Eccomi invece qua ancora con la miriade di stati europei tutti con la sciocca presunzione di mantenere e difendere l'autonoma "sovranità ed indipendenza". Ho vergogna di questa Europa, o meglio: di questa congerie di stati europei in cui ancora dominano idee non lungimiranti, idee che inesorabilmente portano alla competitività protezionista, a vedere di nuovo il vicino come un rivale ed un potenziale nemico. Gli europei non si rendono conto che quel che ancora sta succedendo in Medio Oriente (dove, in una forma o nell'altra, il martirio perdura da oltre 70 anni) è imputabile soprattutto all'assenza di un potere europeo con prestigiosa influenza in quell'area. Ci sono i Russi che bombardano la Siria per sostenere il dittatore Assad ... città rase al suolo dalle "bombe intelligenti", centinaia di miglia di morti, milioni di persone senza tetto, affamate, senza medicinali; e oltre quattro milioni di profughi ... e chissà quando finirà! More people died crossing the Mediterranean to seek better lives in the EU in 2016 than ever before. Despite widespread search and rescue efforts, over 4,600 people perished after leaving from north Africa and Turkey. It is a figure that shames the EU and one that challenges a long-held narrative that Europe is a beacon for its treatment of refugees and respect for human rights. Instead, EU policies on migration, asylum, border control and security have exposed deep political rifts among member states, as the concept of solidarity becomes ever more elusive. Populist groups in Austria, Denmark, Germany, France and the Netherlands have used the crisis to weaken the EU and inflame tensions against immigrants. They are following in the footsteps of established government figures in central Europe. In August, leaders from the Czech Republic, Hungary and Poland reiterated their opposition to refugees and asylum seekers with Muslim backgrounds. France, meanwhile, managed to dismantle and shut down the so-called Jungle in Calais, where around 8,000 people had camped out in a desperate bid to reach the UK. But the big EU plan had always been to somehow undermine the business of migrant smuggling, save lives while doing it, overhaul EU-wide asylum rules, and cut lucrative deals with countries like Afghanistan and Nigeria to send the unwanted back to where they came from. The EU has had some moderate success in keeping people from arriving, while shoring up controls with the Warsaw-based agency Frontex and evolving it into a more powerful and larger European border and coast guard agency. Between February and March, heads of states and governments managed to largely shut down the Western Balkan route, enhance border controls, and sign off a migrant swap deal with Turkey. Turkey, which hosts some 2.7 million Syrian refugees, promised to keep them from crossing the Aegean to reach the Greek islands. In exchange, the EU agreed to set aside €6 billion to finance refugee projects inside Turkey and lift short-term visas for their nationals. But the Germany-backed plan soured following a failed coup against Turkey's president Recep Tayyip Erdogan in mid-July. The EU wanted Turkey to reform its anti-terror laws but Ankara refused amid repeated threats to scrap the deal altogether. Despite these diplomatic rows, the European Commission wants to keep the deal intact, fearful of a repeat of 2015 when over 800,000 arrived in a matter of months near the year's end. 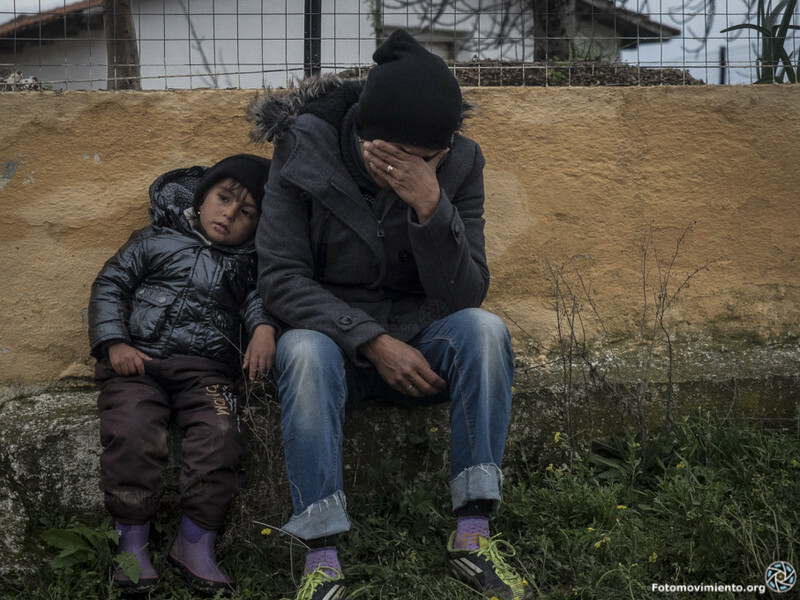 Tens of thousands are trapped in Greece as a result. Those who managed to arrive on the Greek islands from Turkey are pushed into overcrowded camps where violence is rampant and women and children are at risk of sexual and physical abuse. Infants as young as four have allegedly been assaulted at so-called hotspots, an EU concept where arrivals are screened and registered before their asylum claims are heard. The EU commission has absolved itself from any responsibility and says the fault lays squarely with the member states. The hotspots in Greece and Italy had also been intended as a clearing house for a mandatory relocation scheme aimed at distributing 160,000 people over two years. Since its September 2015 launch, the plan has failed to deliver any meaningful results as EU states baulk at being forced into meeting quotas. Even commission president Jean-Claude Juncker made light of it in November when he quipped that Luxembourg was unable to find any refugees willing to relocate to the Grand Duchy. "We found 53 after explaining to them that it was close to Germany. They are no longer there [Luxembourg]," he said. The admission highlights the EU's shattered asylum policies, as reception and conditions in EU states vary widely. With that knowledge, refugees and asylum seekers tend to flock to Germany and Sweden as a matter of preference. The two nations, along with Austria, Denmark, and non-EU state Norway, set up internal border control checks in May and has extended them into 2017 out of fear refugees would want to settle on their territories. Austria had even threatened to shut down its Brenner Pass border with Italy, a major transit route to Germany and northern Europe. The commission, meanwhile, proposed to reform asylum rules known as Dublin that determine which member state is responsible for an asylum seeker's claim. The May proposal included a controversial plan to impose a €250,000 "solidarity contribution", paid by the member state, for each person they refuse to accept under the Dublin transfer rule. Some states are pushing to morph the "solidarity contribution" into a concept known as "flexible solidarity" where governments would have more say over EU asylum rules. The phrase has since morphed into what the Slovak EU presidency is now calling "effective solidarity". All this happened amid a backdrop of growing insecurity following terrorist attacks in Brussels in March, in Nice in July, and to a smaller extent in Germany. The EU launched a broad package of security policies that, in some cases, also aimed at controlling migration as the EU commission piled on intense pressure for Italy and Greece to fingerprint every arriving asylum seeker. The fear is that measures imposed in 2016 risk unravelling in 2017. EU officials remain wary of the deal with Turkey. But focus has shifted to Africa. In October alone, a record number of 27,500 people arrived in Italy from Libya. Many more are likely to do the same in 2017 as the death toll continues to climb. This story was first published in EUobserver's Europe in Review 2016 magazine. You can download a free PDF version of the magazine here. Servirebbe forse una maggiore conoscenza della storia recente (ultimi 200 anni), vista con lente critica. Parte di storia che dopo aver sviscerato Romani e Guerre Puniche, non c'è tempo di analizzare in modo corretto, per mancanza di tympo. Servirebbe più "educazione civica", nel senso di conoscenza delle norme che regolano Stati ed Europa. Almeno secondo le mie umili esperienze.